Available in 15 colour-true shades and three unique finishes: Sheer for naturally stained lips, Matte for velvety lips, and Crème for luminous, creamy lips. Shade names begin with the same letter as their finish, so they are easy to remember (Coy is Crème, Moi is Matte and Shy is Sheer). From this new collection I decided to purchase Myth, a matte lipstick. 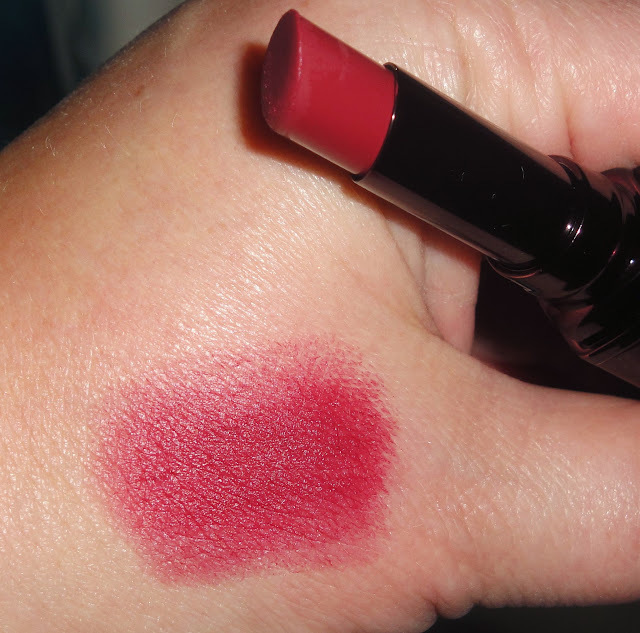 Myth is described as plum rose in color and retails at $24.00 for .06 oz. The lipstick applied smoothly and was light-weight on my lips. I noticed a slight settling into the lip lines but it was hardly noticeable. Normally, I don't wear a matte lip. I typically wear a lipgloss or a semi sheer lipstick so I am used to having to reapply my lip products throughout the day. However, with this lipstick it took some getting used too. 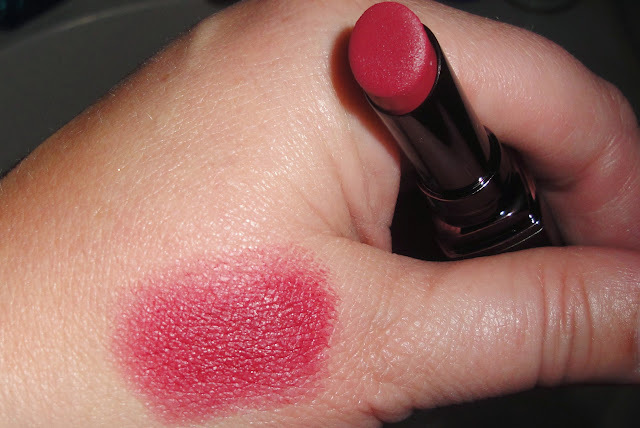 It wore so well I didn't need to reapply and it seemed as though my lips were bare even though they weren't. Overall this product performed better than what I expected especially for a matte lipstick. Total wear time was at least five to six hours before I noticed any fading of color.